When I found out Cinema Fanatic and Japan Cinema were collaborating on a blog-a-thon in effort to raise relief money for the recent earthquake and tsunami in Japan, I knew I had to participate. Admittedly, my expertise in Japanese cinema is lacking, and I can only think of a handful of titles that I’ve seen off the top of my head. You know, the standard Ozu, Kurosawa and Miyazaki films, along with a few other popular imports that could easily be seen in a film class or on the shelf at Blockbuster. So, I decided I would take a different route and re-visit a classic French-Japanese film set in Japan. 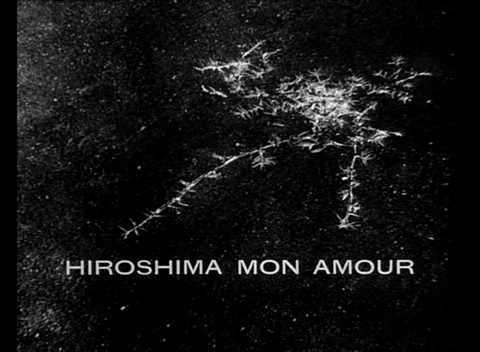 Hiroshima Mon Amour is French auteur Alain Resnais’ exploration of memory and trauma in the second world war. In a way, it can be seen as a sort of companion piece to his pseudo-art-documentary about the Holocaust, Night and Fog, but more on the artsy side and less focused on documenting one specific event. The story is told in a non-linear style and revolves around a 36 hour love affair between a French actress (Emmenuelle Riva) making a film in Hiroshima and a Japanese architect (Eiji Okada) whose family was killed when the atomic bomb was dropped on the city in 1945, effectively ending the war. As the lovers (mostly She) discuss where they were (or where they think they were and are in the present) when the bomb fell and the terrible devastation it brought upon the city, the fictional narrative is inter-cut with brief clips of documentary footage showing mutilated bodies, women’s hair falling out due to radiation, and the physical scars (to say nothing of the mental ones) that the citizens of Hiroshima would carry for the rest of their lives. 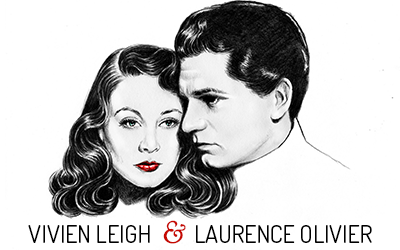 We later learn that She had suffered similar humiliation and degradation back in her hometown of Nevers, France, when she fell in love with a German soldier. 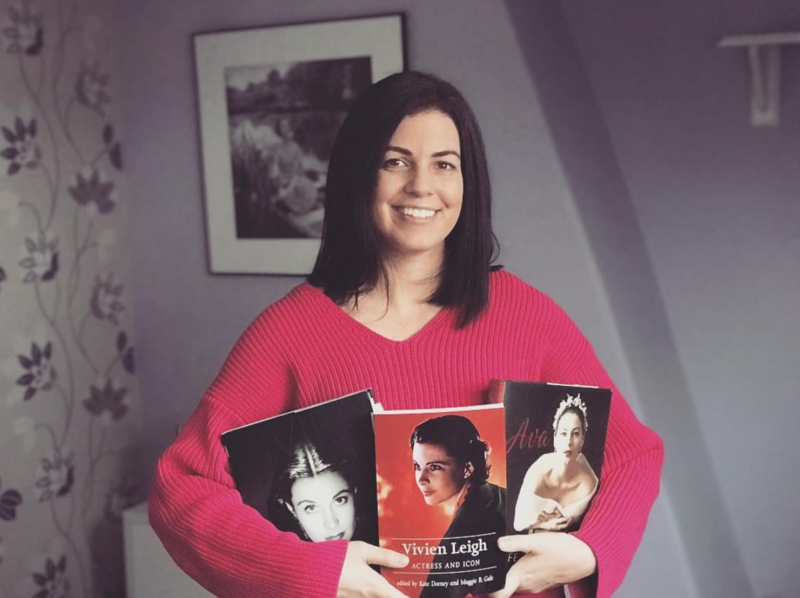 As a punishment, her hair was cut off and she was forced to spend months living in the cellar at her parents’ home after her lover is assassinated and she is discovered with his body. Now in the present, She struggles to find meaning and longevity in her relationships with men, and both try to reconcile the anxieties and traumas of the past. 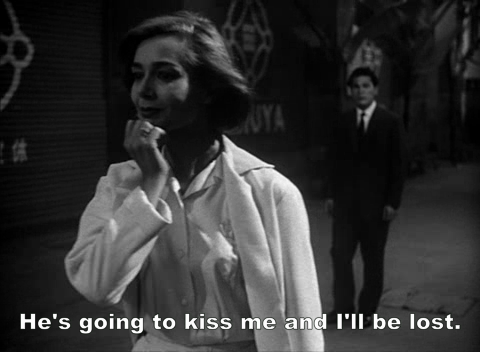 The first time I saw Hiroshima Mon Amour was for a film history class I took as an undergrad. It really is a compulsory title for anyone studying film, and at the time I thought it interesting but pretentious and all but dismissed it. Perhaps this was because I had found Night and Fog incredibly well done and effective, but Hiroshima left me cold. It was not until recently that I learned that Night in Fog was made as more than just a documentary, it was also an artistic experiment. 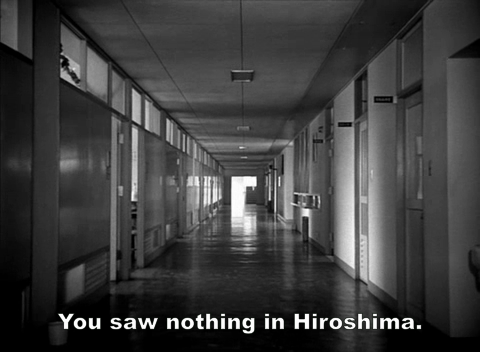 Knowing more about Resnais’ style, I was much more appreciative of the poignancy of Hiroshima this time around. Please consider helping the victims of the recent earthquake and tsunami in Japan. Click here to donate. I love this movie so much. 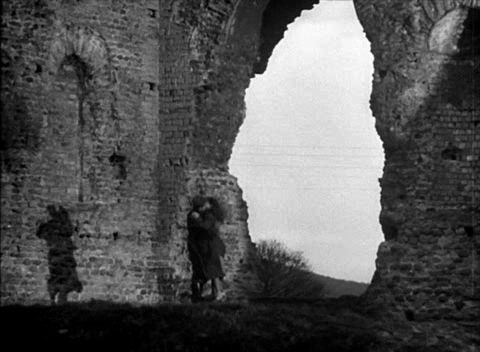 I watch both this and Nuit et Bruillard as part of a French class I took in college about France’s inability to forget WWII. On a side note, if you ever manage to get your hands on a copy of Resnais’ Je t’aime je t’aime, I highly recommend that one. I liked it much better this time around. It really is a beautiful film. The cinematography is brilliant.